Home Aquafina Baillery Bisleri Kingfisher Kinley Mineral Water Opinion Rail Neer Is Bisleri making other brands lose identity? Is Bisleri making other brands lose identity? Last few weeks I have been buying mineral water bottles to save myself from drinking tap water. Why? Firstly, my water purifier's filter got expired and then one of my roommates left the house and took the purifier with her. Right now there is no water purifier in the house and till the time one gets installed I have to depend on buying mineral water bottles from the shop to save myself from getting any water-related disease. Daily I buy almost 2-3 litres of water bottles. Whenever I visit the shop and see a Bailley or Kinley or Aquafina I ask for it using it's name directly. Most of the time there is a blank look on the face. Today the shopkeeper told, "Madam bolo na ki Bisleri chahiye (Madam tell na that you want Bisleri)." And he handed over a bottle of Bailley. I didn't argue and left the shop. What I realised is that Bisleri, which I believe has been in the market more than any other brand, have left all other brands lose their identity. Shopkeepers keep other brands. However, they are least bothered about familiarising himself with the brand name. It has been an observation that seldom when people go to buy a bottle of mineral water, majority of them say - Give me a bottle of Bisleri. The shopkeeper either says he doesn't have Bisleri or gives another brand without saying much. Bailley has been in the market for a long time now. Still, very few has got the name branded in their heads. 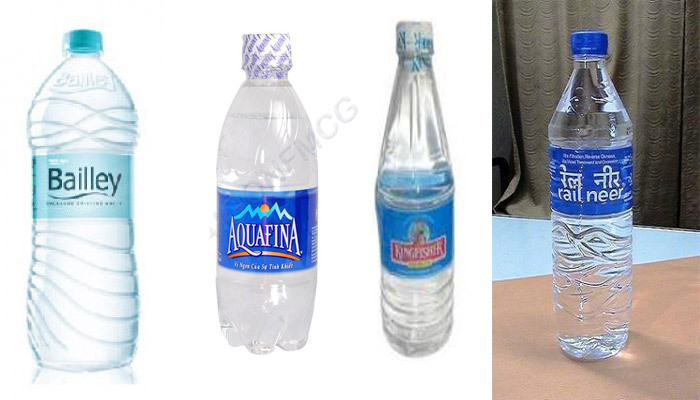 Kinely and Aquafina and many other have marketed their products pretty well, when they were launched. Yet the name Bisleri rules over others. A popular brand like Rail Neer is sold at the stations like no other brand. Yet whenever my family member goes to the shop at a station to buy it, the word that comes out of their mouths is - Ek Bisleri dena (Give me one Bisleri). Are other brands aware of it? If they are, are they more interested in selling the product and not the brand name? Wouldn't an identity crisis make them suffer in the long run if they want to be a part of a major campaign? And what should companies do to make sure their brand name is imprinted in the minds of the people? I have no issues or angst against any of the brands or even sympathies. Yet it I am curious, why this branding of all mineral water companies as Bisleri. If I had a company which would produce mineral water bottles, I would make sure that my product is one of the major in the market and I would surely fight this battle. I don't know about others. Sales matters to me but so does branding. Well all said, in the words of Bryant McGill - Materialism is an identity crisis.